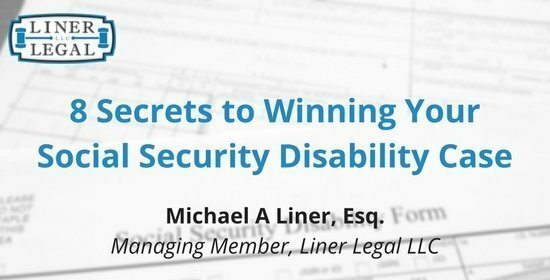 It is our privilege to offer you this free ebook that covers 8 important things that disability applicants should do to give their applications the best chance of success. Once you provide your information, you will be redirected to a page where you can download the ebook. If you have any questions or comments about the content of this ebook, please don’t hesitate to reach out to our firm’s founder and editor, Attorney Michael A. Liner.